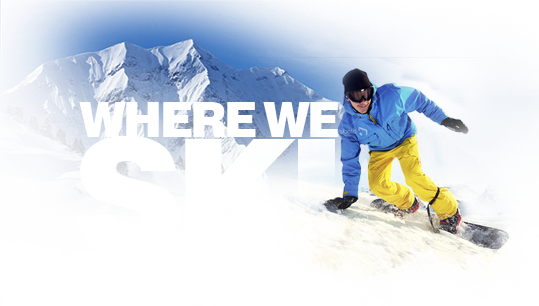 As a non-profit organization, Skicousi’s programs and operations are governed by a volunteer Board of Directors. There are 18 members who serve on the Board including President, Past-President, Secretary, Treasurer, Membership Coordinator, two Social Coordinators, two members of a Nominating Committee, two Trip Coordinators, and the Snow School Director. The Board has two meetings and throughout the year many matters are discussed and decided on via e-mail. There are several positions that will be open in the Spring of 2019 and we are seeking people to fill these other important roles. This position is ideally held for two or more years. The primary role of the Advertising & Promotion position is to increase the visibility of Skicousi with potential members. This can be accomplished through a variety of activities – ads in traditional and online media, working with the Communications position to increase website visits, creating a social media presence, organizing participation in trade shows and events such as the Toronto Ski & Snowboard Show, working with Ski Shops to promote Skicousi within their stores, coordinate the design, print and distribution of rack cards. The chairing of a committee of volunteers for these activities is necessary and an assessment of the current and past activities and proposal of new activities is welcome. This position has the support of a contracted webmaster. The role also oversees the club’s email program and has the assistance of other members in producing these messages. To provide continuity, this is a minimum two-year term. The Skicousi website is primarily the members’ virtual newsletter. It keeps members informed on ski, snowboard and snowshoe events in January and February and the social activities planned throughout the year. The digital coordinator’s position requires that you obtain the information from all the board members regarding their initiatives. You will then upload the information to the website using a variety of different programs within WordPress that will help you create an informative website. This role is ideally held for two or more years. As the ticket seller co-ordinator, you are responsible for recruiting volunteers to sell tickets to the members on each designated ski day. This includes giving them all pertinent information and tools necessary to sell tickets. You are expected to attend two board meetings a year to report on ticket selling activities. This is a two-year role and the member then moves on to become President of Skicousi. The position of President is also a two-year term. The primary role of the Vice-President is to coordinate and confirm the next calendar year’s ski dates with the private ski clubs in the Collingwood area. The Vice-President also coordinates other details associated with members’ visits to the ski clubs. The other key role of this position is to support the President in their duties.